Engineers have built a robot that assembles itself into a complex shape in four minutes and moves without any human intervention. The advance, described in Science , demonstrates the potential to quickly and cheaply build machines that interact with the environment, and to automate much of the design and assembly process. The method is said to draw inspiration from self-assembly in nature, such as the way linear sequences of amino acids fold into complex proteins with sophisticated functions. ‘Getting a robot to assemble itself autonomously and actually perform a function has been a milestone we’ve been chasing for many years,’ said senior author Rob Wood, Ph.D., a core faculty member at the Wyss Institute for Biologically Inspired Engineering at Harvard University and the Charles River Professor of Engineering and Applied Sciences at Harvard’s School of Engineering and Applied Sciences (SEAS). The team included engineers and computer scientists from the Wyss Institute, SEAS, and the Massachusetts Institute of Technology (MIT). ‘Here we created a full electromechanical system that was embedded into one flat sheet,’ lead author Sam Felton said in a statement. The team used computer design tools to inform the optimal design and fold pattern – and after about 40 prototypes, Felton honed in on the one that could fold itself up and walk away. 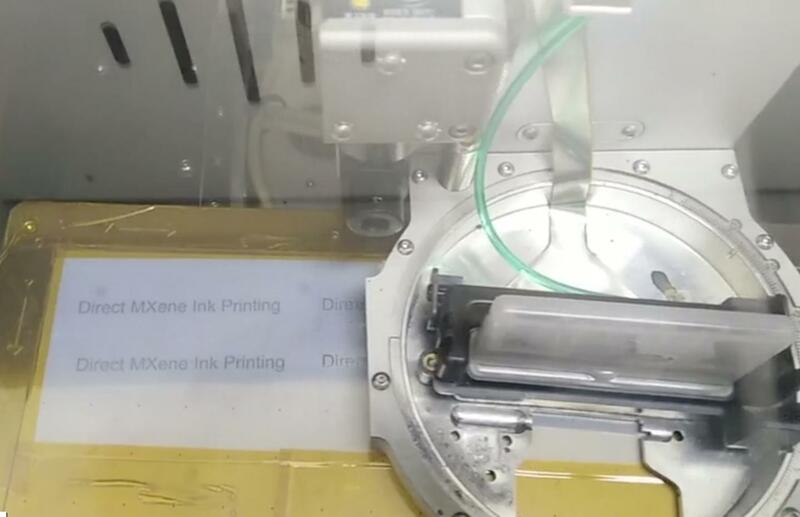 He fabricated the sheet using a solid ink printer, a laser machine, and his hands. The refined design took approximately two hours to assemble using a method that relies on origami, an approach that enabled the team to avoid the traditional approach to assembling complex machines. They started with a flat sheet, to which they added two motors, two batteries, and a microcontroller. The sheet was a composite of paper and polystyrene with a single flexible circuit board in the middle. It also included hinges that were programmed to fold at specific angles. Each hinge contained embedded circuits that produce heat on command from the microcontroller. The heat triggers the composite to self-fold in a series of steps. When the hinges cool after about four minutes, the polystyrene hardens – making the robot stiff – and the microncontroller then signals the robot to crawl away at a speed of about one-tenth of a mile per hour. The entire event consumed about the same amount of energy in one AA alkaline battery. The current robot operates on a timer, waiting about ten seconds after the batteries are installed to begin folding. ‘We could easily modify this such that the folding is triggered by an environmental sensor, such as temperature or pressure,’ Felton said. One of the primary challenges in the process, Felton said, was the propensity for the robots to burn up before they folded up properly; each one runs on about ten times the current that typically runs through a light bulb. ‘There is a great deal that we can improve based on this foundational step,’ said Felton, who plans to experiment with different kinds of shape memory polymers that are stronger and require less heat to activate, for example. The method is complementary to 3D printing, which also holds great promise for quickly and inexpensively manufacturing robotic components but struggles to integrate the electrical components and in this specific case, would have taken a lot longer to produce the functional prototype. The development has potential applications beyond the manufacture of robots. ‘Imagine a ream of dozens of robotic satellites sandwiched together so that they could be sent up to space and then assemble themselves remotely once they get there – they could take images, collect data, and more,’ said Felton. The work was funded by the US National Science Foundation, the Wyss Institute for Biologically Inspired Research at Harvard, and the US Air Force Office of Scientific Research. Wow! As a student I fear the future! Robots that can build themselves? How am I suppose to get a job?! There are quite a lot of human robots who can twist and turn so much they often meet themselves coming backwards: we call them politicians. Do not fear the future, embrace it, for it is you (and your many technically trained and educated contemporaries) who will make it.